Probiotics and probiotic supplements have been in the lime light for some time now for all the good reasons. But what are probiotics? And how are they beneficial to the human body? Well, probiotics are an umbrella term for all the beneficial microorganisms that are required by the body for healthy functioning of the digestive system and immune system. These microorganisms crowd out pathogens such as yeast, viruses, fungi and harmful bacteria that would otherwise cause disease. Our intestines are home to billions of microorganisms – both good and bad. But a problem arises when the healthy balance of these microorganisms is disrupted due to some illness, changes in the diet or excessive consumption of antibiotics. In, such situations, the pathogens overpower the good bacteria which results in digestive disorders such as diarrhea, constipation, gas, bloating, etc. Taking a probiotic supplement can help to restore the perfect balance of microflora in the intestine and relieve these digestive disorders without causing any side effects. Are Probiotics Good for Digestive Health? Probiotics are capable of treating both infectious diarrhea (caused by bacteria, viruses or parasites) and antibiotic-related diarrhea. Travellers often suffer from diarrhea caused by contaminated food or water and traveller’s diarrhea can last for weeks or months. Although, there is no solid proof that probiotics work for traveller’s diarrhea, but a 2007 report shows that probiotics can help avoid traveller’s diarrhea. The strains Saccharomyces boulardii, Lactobacillus acidophilus, and Bifidobacterium bifidum are most beneficial in this kind of diarrhea (1). Kids often suffer from bouts of infectious diarrhea caused by rotavirus and some of the probiotic strains such as Lactobacillus rhamnosus, Lactobacillus reuteri and Saccharomyces boulardii can help to treat this type of diarrhea in kids. The mix of these probiotic strains can reduce the bouts of infectious diarrhea in kids by almost half a day to 2 days (2). Probiotics work far more effectively than commercial laxatives to relieve constipation. Probiotics improve digestion and enhances the absorption of nutrients from foods and while they break down food, they produce lactic acid and short-chain fatty acids that lower the pH of the intestine which in turn promotes muscle contractions in the colon and improve bowel movement and regularity. In a study published in the 2010 Journal of Clinical Gastroenterology a team of Italian researchers found that artichokes enriched with probiotic strain Lactobacillus paracasei reduced abdominal distension and the felling of incomplete elimination (3). Probiotics may help to relieve Ulcerative Colitis and Crohn’s disease, two forms of Inflammatory Bowel Disease (IBD). Although, researchers don’t yet know for certain what causes Inflammatory Bowel Diseases but there is increasing evidence which suggests that the microbiota in the intestine plays an important role in initiating and determining the development and characteristics of IBD. There are a number of studies that reveal the effectiveness of probiotics in alleviating the symptoms of IBD. In a study conducted at the Northwestern University Feinberg School of Medicine, the researchers tweaked a version of the common probiotic strain Lactobacillus acidophilus and fed it to mice with two different forms of colitis. After 13 days of treatment it was seen that the novel probiotic strain almost completely healed colon inflammation in the mice and stopped the progression of the disease by 95% (4). 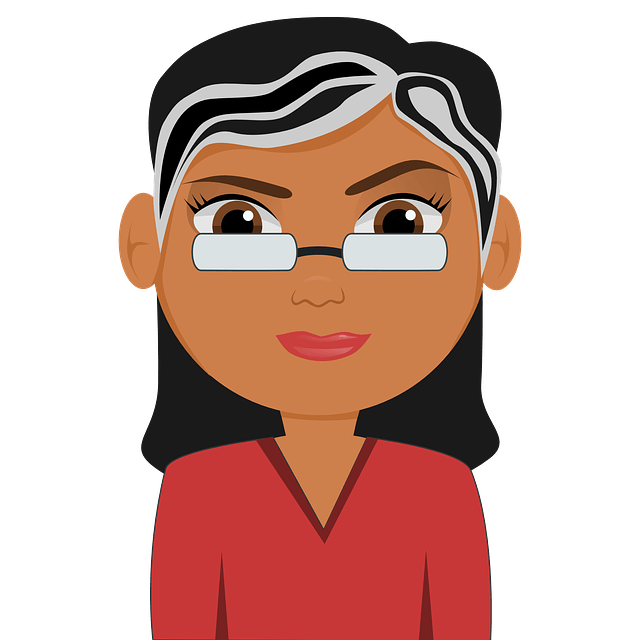 Irritable Bowel Syndrome (IBS) is one of the most common intestinal disorders that can cause a number of symptoms such as bloating, cramping, abdominal pain, diarrhea and constipation. Probiotics can help to relieve the symptoms of irritable bowel syndrome in a number of ways. Probiotics coat the surface of the GI tract and stop the harmful pathogens from inflaming it. It strengthens the tissues of the bowel wall and regulates immune system response. Saggioro performed a study with 70 IBS patients. In this study, the candidates were divided in 2 treatment groups for improvement of abdominal pain and severity scores of 7 other IBS symptoms. Group 1 was given L. Plantarum LP01 and B. Breve BR0, Group 2 was given L. Plantarum LP01 and L. acidophilus LA02. Both the treatment groups showed significant decrease in abdominal pain and severity of other symptoms in 2 to 4 weeks (5). This probiotic supplement is targeted at supporting and improving overall digestive health. It also helps to prevent specific digestive issues such as gas, bloating and abdominal discomfort. Each serving of this supplement provides 1 billion viable cells of Bacillus Coagulans GBI-30 to the intestine. The Bacillus Coagulans GBI-30 is a unique probiotic strain that supports long-term digestive health and boosts the immune system function. It also contains enzymes amylase, lipase, etc. that support the breakdown of proteins, carbs and fats in the intestine and aid the digestive process. 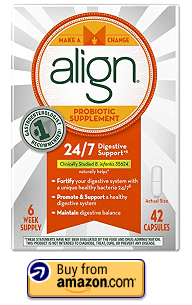 This is a specially formulated probiotic supplement that survives the harsh acidic environment of the stomach 10 times better than yogurt or any leading probiotic supplement. This is a high quality supplement with guarantee of purity, freshness and potency. It does not contain any preservatives or artificial flavours. This is a moderate potency probiotic supplement that is suitable for daily long term use in order to maintain general digestive health. Each serving of this supplement provides 10 billion active cultures of Lactobacillus GG to the intestine that aids the digestive system to work better and reduces digestive issues. This supplement also contains vitamin C and natural inulin (chicory root extract) that nourish the probiotics and support their colonization in the intestine. This is a 100% vegetarian supplement that is free from gluten, milk, soy, wheat and preservatives. Each pack of this probiotic supplement meets highest standards of purity and potency when consumed. 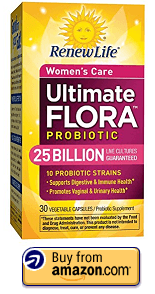 This is a smart once-daily probiotic supplement specially designed to support women’s health needs. This supplement has been formulated by Dr. Perlmutter, an expert in the human microbiome, a board-certified neurologist, a Fellow of the American College of Nutrition and America’s brain-health expert. 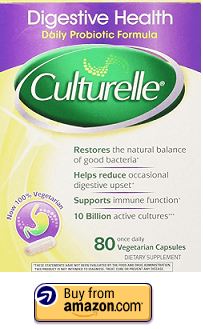 This probiotic supplement provides 50 billion CFUs of live culture per serving and it comes 16 different probiotic strains L. reuteri and L. fermentum that support vaginal health. This supplement helps to support a healthy microbiome in the intestine and support women’s digestive and immune system health. This is a shelf-stable probiotic supplement that requires no refrigeration and its potency is guaranteed. This is a 100% vegetarian and hypoallergenic probiotic supplement free from gluten, dairy and soy. The combination of a wide range of strains and 40 billion CFUs potency makes this one of the most effective probiotic supplements for improving overall health. Each serving of this supplement provides 40 billion CFUs of live culture to the intestine. It contains some of the most beneficial probiotic strains such as Lactobacillus Acidophilus, Bifidobacterium Lactis, Lactobacillus Plantarum and Lactobacillus Paracasei that helps to maintain healthy intestinal flora, boost the body’s immune response, support healthy cholesterol levels and reduce diarrhea, allergies and fatigue. This is a 100% natural and vegetarian supplement that is suitable for men, women and seniors. It is non-GMO, gluten-free, dairy-free and soy-free. This is a whole food probiotic formula that is made from soil based probiotics which makes it a powerful shelf-stable probiotic supplement. Each serving of this supplement provides 15 billion CFUs of live culture. It contains 13 hardy and beneficial probiotic strains that survive the stomach acids and arrive alive in the intestine. This probiotic supplement contains unique whole food blend with Homeostatic Soil Organisms (HSO) which makes it strong and shelf-stable. This supplement not only provides digestion support, but also boosts nutrients absorption from foods and improves immune system function. This is a 100% vegetarian probiotic supplement made from whole foods and is gluten-free. 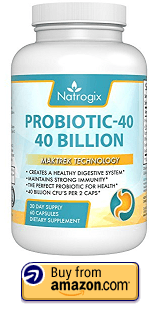 This is a specially formulated probiotic supplement that makes use of MAKTREK 3D Bypass Technology which activates the capsule with water in the stomach and probiotics from acidic environment so that it can make it alive to the digestive tract. Each serving of this supplement contains 40 billion CFUs of active culture and it includes 4 beneficial probiotic strains. This probiotic supplement not only supports healthy digestive system and immune system, but also promotes weight loss by boosting metabolism. This supplement is manufactured in GMP and FDA certified labs and each product is third-party tested for purity and potency. The manufacturer also offers 100% money back guarantee if the customer is dissatisfied with the performance of the supplement. 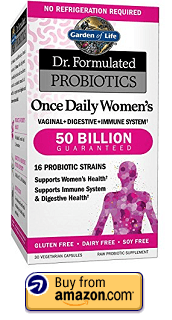 This is yet another probiotic supplement specifically intended for women that helps to promote vaginal health and fight off yeast infections. This supplement also helps to support digestive health, relieve occasional digestive discomfort and boost immune system health. This supplement provides 25 billion cultures per serving and contains 10 different strains of Lactobacillus and Bifidobacterium. This is a vegetarian supplement free from gluten and dairy which makes it suitable for people with restrictive diet. The capsules are formulated for targeted delivery which ensures that the probiotics survive the acidic environment and arrive alive in the intestine. 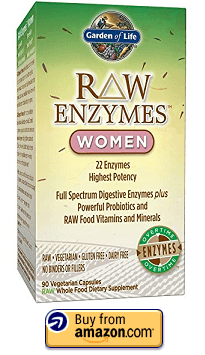 This is an uniquely formulated digestive support formula for women that contains a full spectrum of 22 high-potency RAW enzymes along with probiotics, RAW foods vitamins and minerals. This supplement is especially beneficial for those who find it default to digest certain foods such as dairy, grains, nuts, beans, seeds and cruciferous vegetables. This supplement supports colon health, digestive health, immune system and bone health and also supports healthy metabolism. Each serving of this supplement provides 50 billion CFUs of probiotic Bacillus coagulans and Saccharomyces boulardii. This is a raw and vegetarian supplement that is absolutely gluten free and dairy free and does not contain binders or fillers. 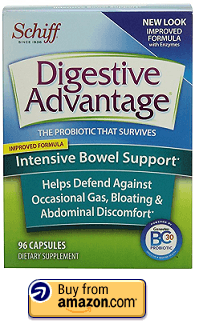 This is a highly effective natural probiotic supplement that helps to increase bacterial profile in the stomach and provides relief from gas and flatulence. Each serving of this supplement provides 4 billion CFUs of live culture and includes 6 different Lactobacillus and Bifidobacterium strains. 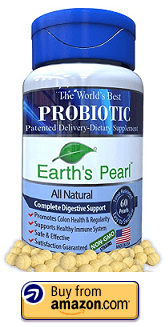 This supplement comes with pearl form with Time Release Patented Technology, BioTract that makes it 15 times more effective compared to regular capsules and ensues that 15 times more live bacteria is delivered to the intestine. This is a shelf-stable supplement that can retain maximum potency for 18 months even at room temperature. The purity and potency of this supplement has been 3rd party verified. It is a 100% natural product free from GMOs, lactose, gluten, sugar, eggs, nuts and wheat. The manufacturer also offers 365 days money back guarantee if the customer is not satisfied with the product. This is the perfect probiotic supplement for daily long-term use that provides 1 billion CFUs of Bifidobacterium infantis per serving. B.infantis 35624 is a patented and pure-strain of probiotic bacteria that help to maintain a healthy digestive system and digestive balance. The capsules come in blister packaging which ensures the potency and quality of the supplement. This is a shelf-stable probiotic supplement that can be stored at room temperature. It does not require refrigeration. The manufacturer offers a 60 days money back guarantee if the customer is not satisfied with the product. There is abundant research that supports the beneficial aspects of probiotics as a home remedy for digestive health. Probiotics not only treat digestive issues such as diarrhea, gassiness, cramping, etc. but also easy the symptoms of lactose-intolerance and irritable bowel syndrome. 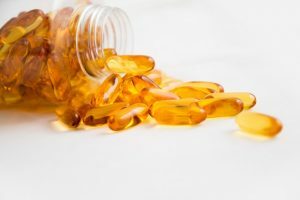 But when it comes to effectiveness of a probiotic supplement, different strains of microorganisms as well as different ways of preparation have varying effects. So, it is best to opt for a quality product from a reputed brand that makes use of well-researched strains and all-natural ingredients to order to ensure that you get best value for your money. Be sure to get in touch with your doctor, if you are a pregnant woman looking to use probiotic supplements. Looking for probiotic supplements for your pets? Check out our separate post to learn more!